Need some gift ideas for the carpenter dad? My dad was a carpenter, and it was sometimes difficult to find the perfect gift for him, since he usually already had the tools he needed. Mom usually bought him whatever major tool he decided he wanted that year, while the kids tried to find something he would like, or could use in his work. Over the years, we bought him tool belts, stud finders, screwdriver sets, bits for his drill, and many other items. Some of these, such as a screwdriver set, are a bit ordinary as far as gifts go, unless that is what your dad actually wants. That said, screwdrivers do tend to disappear after a time, so they might just be one of those gifts that are always appreciated. While looking for gifts for the carpenter dad, I tried to find things I would have been happy to give him, but even more that he would have been happy with. The compound miter saw shown at the top of this article is an excellent tool for cutting mitered corners for door frames, trim, baseboards, and crown molding. It also comes with a dust bag to capture most of the sawdust. 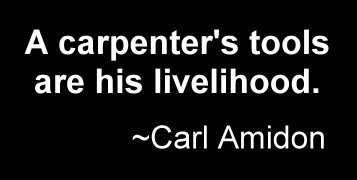 Whatever you purchase or make for your carpenter dad, chances are he will love it--if for no other reason than that you gave it to him. 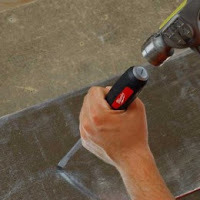 There are so many gift possibilities available online for the carpenter dad these days, it was hard to select just a few for this post. Tools are almost a given. What carpenter can't use more tools? Other items to search for might be belt buckles, clocks, t-shirt , or humorous caps designed with carpenters in mind. 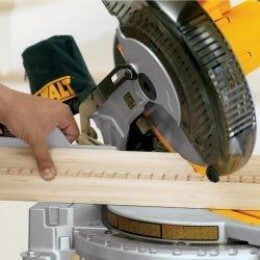 What gift ideas for the carpenter dad would you recommend? Let us know in the comments! Welcome to Around Moms Kitchen Table. Thank you for the comment.